The Best Soccer blogs from thousands of top Soccer blogs in our index using search and social metrics. Data will be refreshed once a week. You may also be interested in Top Fantasy Soccer blogs or Soccer Podcasts or Football Youtube Channels . 2.6 This Is Anfield - LFC News, Videos, and Opinion. 2.26 AVFC – Aston Villa Fansite, Blog, & Forum..
2.107 Football Shoot - Football Blog | Transfer Rumours and more. Soccer newsletter is a comprehensive summary of the day's most important blog posts and news articles from the best Soccer websites on the web, and delivered to your email inbox each morning. To subscribe, simply provide us with your email address. About Blog The latest football news, live scores, results, rumours, transfers, fixtures, tables and player profiles from around the world, including World Cup. Facebook fans 17,240,558. Twitter followers 819,890. About Blog No matter where you are in the world, we allow you to stay up to date with all the latest goals from around the world. Have you seen the latest great goal? Facebook fans 3,467,485. Twitter followers 177,430. UK About Blog The latest football news, in-depth features, tactical and statistical analysis from FourFourTwo, the UK's favourite football monthly. Facebook fans 1,111,965. Twitter followers 459,862. Old Trafford, Manchester About Blog United we stand, United we write. With the latest Man Utd news, transfer news, immersive match day coverage, insight and informed opinion, The Peoples Person is the number one website for Manchester United fans. Founded in April 2011, we have grown to be an industry leading website dedicated to providing Manchester United fans from all corners of the globe with the latest news 24/7. Facebook fans 2,244,998. Twitter followers 38,413. About Blog TalkChelsea.net is a Chelsea Football Club fansite. Our website is run by a group of Chelsea fans across the world. We offer all our own original content and try to give you the fans, exactly what you want and expect from an Chelsea fansite. The most popular part of our website are the forums where you can interact with other fans, discuss everything Chelsea and arranging meet ups before games. Facebook fans 2,819,191. Twitter followers 53,010. 6. This Is Anfield - LFC News, Videos, and Opinion. About Blog Independent Liverpool Football Club supporters website, founded in 2001, providing LFC news, views and analysis. Facebook fans 1,655,254. Twitter followers 419,356. About Blog The award winning Arsenal blog and news site. Home of the Arsecast, the twice weekly Arsenal podcast. Facebook fans 492,868. Twitter followers 299,267. About Blog Liverpool Blog, Empire of the Kop, is a fan site for LFC player and team live news and video highlights. Facebook fans 909,687. Twitter followers 1,764,533. About Blog Started in April 2006, Soccerlens was built for football fans who want more than 'just the news'. We aim to entertain, provoke and stimulate, and above all, to celebrate the beautiful game in all its contradictory and passionate glory. Facebook fans 341,641. Twitter followers 14,890. About Blog Fresh daily soccer news. In addition we offer soccer tickets, soccer betting, soccer games, football transfer news, discussions, soccer bets, football tickets etc. Facebook fans 631,460. Twitter followers 8,014. About Blog Latest detailed football statistics for the Premier League, Serie A, La Liga, Bundesliga, Ligue 1, and Champions League. Facebook fans 134,039. Twitter followers 671,262. Facebook fans 444,843. Twitter followers 82,988. About Blog Inside the world's favourite game. The unbeatable resource designed to keep you in touch with the planet's favourite sport. Facebook fans 160,435. Twitter followers 44,058. About Blog Award winning creative literature football blog advocating football stories since 2008. Facebook fans 115,630. Twitter followers 20,982. Overland Park, KS About Blog Coaching Soccer Weekly is a podcast that gives you an in-depth look at the methods, strategies and techniques used by a youth soccer coach working full time with players of every age and skill level. This includes training plans, team management and planning ideas, the latest trends in soccer coaching and education, as well as approaches to deal with challenges. The podcast also includes interviews with other soccer coaches and trainers that are on the cutting edge of modern soccer development. Facebook fans 10,534. Twitter followers 8,259. London About Blog A Chelsea fans blog is one of the leading Chelsea blogs on the planet and the site has had over 44 MILLION page views with an average of 1m views per month. Facebook fans 19,843. Twitter followers 28,500. About Blog The site was set up in late 2007 by Geoff and Pedro. They set out to create a place where Arsenal fans could talk about whatever they liked football wise without the fear of aggressive recriminations. Four and a bit years on, the site has posted over 1600 times and has over 1,000,000 comments approved and published. Facebook fans 9,059. Twitter followers 62,202. About Blog Soccer Cleats or Football boots, either way we have all the latest info and updates! Facebook fans 72,064. Twitter followers 8,570. Facebook fans 16,905. Twitter followers 20,844. About Blog Established in 2009, RossoneriBlog is the leading website for Milan news in English, providing daily updates to thousands of readers each.Find AC milan News, Match Reports, Transfers and Rumours. Facebook fans 27,795. Twitter followers 47,773. Facebook fans 16,824. Twitter followers 30,328. About Blog Everything In Soccer Starts Right Here. All the latest soccer news from all of the world's greatest club teams and national sides. Facebook fans 93,108. Twitter followers 7,685. Facebook fans 2,853. Twitter followers 19,208. 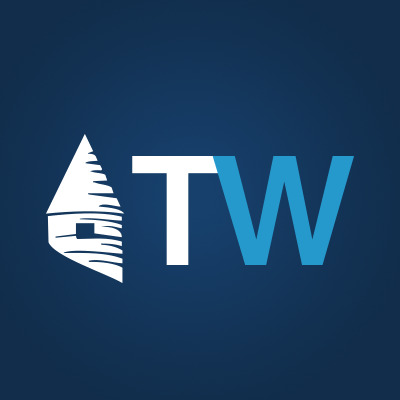 About Blog Produced and maintained by a small, international team of dedicated Blues, ToffeeWeb is the longest-running, most comprehensive and up-to-date Everton website around. We strive to provide an independent forum for the views of Evertonians the world over while delivering unparalleled coverage of events surrounding one of England's greatest football clubs. Facebook fans 7,394. Twitter followers 30,887. About Blog An editorial football website obsessed with the beautiful game. In-depth Tactical Analysis, detailed Scout Reports, diverse Team Blogs, the best U-21 players with Talent Radar and Interviews with experts of this global game. Facebook fans 23,897. Twitter followers 14,681. 26. AVFC – Aston Villa Fansite, Blog, & Forum..
About Blog Aston Villa AVFC for latest news, views, stats, talk on our forums with fellow fans and supporters. Facebook fans 2,317. Twitter followers 17,732. About Blog A site for all things U.S. soccer, from the big boys and girls to the wee ones. We will take it seriously. We will win a World Cup. We will fawn over Brek Shea's hair. Facebook fans 2,209. Twitter followers 21,101. About Blog The number one source for all of the latest Arsenal News, transfer rumours, gossip and matchday team news. Arsenal Football Club News. Since our inception the team of Gooners has grown from strength to strength with regular contributors from around the world. Facebook fans 5,357. Twitter followers 4,793. Facebook fans 7,096. Twitter followers 27,816. About Blog Twelfth Man Times solely serves as a one-stop source for every sports fan in the world and to give an enthralling experience of connecting with their favorite sports or players. We publish various articles which greatly satiate a fan’s desire to keep himself updated with the latest news related to sports and discuss his favorite sports with like-minded people on our discussions panel. Here's latest football news from your all the major football leagues and different sports in the world. Facebook fans 191,155. Twitter followers 846. About Blog Just Football: An award-winning analytical look at the football world from Austria to Zambia, from Aguero to Zidane. Facebook fans 2,930. Twitter followers 21,923. About Blog Get the latest Manchester United news, views and reaction from The Stretty Rant. Facebook fans 9,035. Twitter followers 52,239. About Blog Howler is a magazine about soccer. Made in the USA. Four times a year. For a global audience. Issue 10 contains 112 pages of feature writing, profiles, essay, humor, and, of course, plenty of original illustrations and photography. Facebook fans 6,561. Twitter followers 22,090. About Blog The best website to keep updated about the greatest football club in the world. Real Madrid news, transfer rumours, schedules, videos, blogs, and more. Facebook fans 11,209. Twitter followers n/a. About Blog All the latest LFC news & views in one place! Official page of Kopworld - the independent Liverpool FC website. Facebook fans 10,895. Twitter followers 330,527. About Blog The Football Ramble emerged from London towards the end of 2007 as a genuinely refreshing football voice, and quickly established itself as one of the most influential and entertaining shows about the world's most popular sport. It is now the largest independent football brand in the UK and a must-listen for any discerning fan that enjoys the more entertaining side of the game. From sold out live shows to broadcasting from major tournaments, The Football Ramble has it covered. Join them every week. Facebook fans 93,500. Twitter followers 77,123. About Blog A Juventus site with all the latest news, match reports, transfers, analysis, stats and scores. Facebook fans 8,924. Twitter followers 42,072. About Blog The site carries occasional interviews with leading West Ham personalities, and also the odd opinion survey. On matchdays readers follow the match in real time and debate the latest developments. Immediately after the match readers who attended the game rate the performance of each player. Facebook fans n/a. Twitter followers 5,443. England, United Kingdom. About Blog Football news, transfers, fixtures, stats, live scores, videos, pictures, interviews, match previews, match reports and major sports on SportsDictator! Facebook fans 2,288. Twitter followers 14,898. United States About Blog The Equalizer was founded in 2009 with a goal of bringing first-class media coverage to women's soccer. Since then we've brought you breaking news, in-depth analysis and everything you need to follow Women's Professional Soccer, the U.S. Women's National Team and more. Facebook fans 3,673. Twitter followers 17,229. About Blog GB Articles is a football blog where you can discover the latest football news, transfer news and more! We talk EPL, Bundesliga, La Liga, Serie A & Ligue 1. Facebook fans 447. Twitter followers 1,694. About Blog We're pretty big fans of FC Barcelona, a community you could say. We share news, opinions and the occasional heartbreak here. totalBarca is a socially responsible organization comprising a team of talented volunteers who are loyal FC Barcelona fans. Facebook fans 198,024. Twitter followers 116,693. About Blog TopDrawerSoccer Soccer blog - your home for college soccer, club soccer, and the US soccer landscape. TopDrawerSoccer.com has news, scores, and rankings for all levels of college soccer and club soccer. Facebook fans 43,135. Twitter followers 1,181. Facebook fans 2,499. Twitter followers 427. About Blog The Soccer Without Borders MISSION is to use soccer as a vehicle for positive change, providing under-served youth with a toolkit to overcome obstacles to growth, inclusion, and personal success. Facebook fans 6,331. Twitter followers 4,277. About Blog Welcome to AtleticoFans.com – an English language resource supplying news, updates and opinion on Club Atletico de Madrid in La Liga. Set up in the Summer of 2010, AtleticoFans aims to become the number one site for Atletico fans across the United Kingdom, United States and other English speaking territories. Facebook fans 5,066. Twitter followers 14,149. About Blog Find Soccer Predictions, Preview, Hews, Highlights the most spectacular in the world championships as Barclays Premier League, Primera Division Bundesliga and much more. Facebook fans 1,110. Twitter followers 60. Facebook fans 935. Twitter followers 8,896. Chicago About Blog Founded in 2007, Pitch Invasion is a North American-based web publication about global soccer culture and history. About Blog Soccer news website covering the sport from an American perspective, while also providing news and analysis on the international game as well. Facebook fans 3,682. Twitter followers 6,565. Facebook fans n/a. Twitter followers 39,326. ÜT: 40.720477,-111.902895 About Blog The Original Winger is an online lifestyle magazine inspired by the lifestyle and culture of soccer. Initially started as an extension of our apparel company Bumpy Pitch, The Original Winger has become a leading destination for people who view soccer as more than just a sport. Facebook fans 4,923. Twitter followers 17,620. About Blog Just a football blog. Started with a mission to help out the young struggling generation. To reach out players of their own level to discuss about their journey experiences, dos and dont’s. About Blog The Football Pink is a collection of writers and bloggers who bring their opinions, musings, observations and stories from all over the world to fans of ‘The Beautiful Game’. Facebook fans 414. Twitter followers 6,048. About Blog IntoTheTopCorner was founded back in February 2012 and quickly became one of the popular football blogs in India. The blog provides reaction to the big breaking news, match previews, match reports, tactical analysis and much more from the English Premier League and the UEFA Champions League to football fans in more than 180 countries across the globe. Facebook fans 775. Twitter followers 5,148. Facebook fans n/a. Twitter followers 5,071. About Blog Blog by James M. Dorsey. This blog explores the role of soccer at a time of transition of the Middle East from autocratic rule to a more open society. James is an award-winning journalist covering ethnic and religious conflict. He blogs using soccer as a lens on the Middle East and North Africa's fault lines. Facebook fans n/a. Twitter followers 3,129. Newcastle About Blog NUFC Blog provides news, opinion and debate on NUFC fixtures and other Newcastle United gossip. It is the new place for banter and for fans to discuss their team. Facebook fans 39,403. Twitter followers 1,899. About Blog Blog mainly focuses on Scottish football but has been known to dip into other areas of footballing interest. Facebook fans n/a. Twitter followers 3,421. About Blog We are SB Nation's Atlanta United blog and we are dedicated to bringing you the best possible coverage of Atlanta's brand new MLS club. We'll have top notch analysis, discussion, news, exclusive interviews, and much more. Facebook fans 1,103. Twitter followers 2,858. About Blog I started writing this blog straight after Arsenal won the FA Cup in 2003, against Southampton. A year before Arsenal went unbeaten, at a time when we were slugging it out at the very top table. And here I am, twelve years later, still writing about the Arsenal. A bit less than I used to (life and kids have a habit of doing that), but still going. Facebook fans 241. Twitter followers 22,178. Lagos, Nigeria About Blog This is an Arsenal blog that feeds its readers up to the minute news about the Arsenal which ranges from transfer gossip, daily news, match previews, match reviews, team news and much more..
Facebook fans 3,817. Twitter followers 7,087. About Blog Established in February 2006, A Cultured Left Foot is purely concerned with Arsenal Football Club and the world surrounding it. The views expressed are purely those of the author and in no way represent the official views of Arsenal Football Club nor should they be interpreted as doing so. Facebook fans n/a. Twitter followers 11,785. London About Blog This Arsenal website is written by Mean Lean and also includes the Arsenal Vision Podcast. A more than slightly obsessed Gooner, blog writer and father of four lovely children. Writer of the best blog out there, apart from loads of other ones. Facebook fans n/a. Twitter followers 17,530. About Blog Harrison Crow started this blog and podcast in an attempt to make millions of dollars, but instead he just got stuck with Matthias Kullowatz. The two of them, along with Drew Olsen blog about a sport played with a ball and mostly with peoples' feet, cleverly called "football." We focus on MLS and the US National Team, and how to apply statistics to a game that is so fluid. Facebook fans 198. Twitter followers 2,150. About Blog A blog, originally about anything and everything, but now tailored more to the football market due to the larger demand for these types of articles. Facebook fans 6. Twitter followers 1,087. Thiruvankulam, Kerala About Blog Football News, Live Scores, Results & Indian Super League. Facebook fans 79. Twitter followers 148. About Blog This is TheArsenalBlog and we aim to be amongst the best unofficial Arsenal Blogs around, with up-to-date Arsenal News, Analysis and Arsenal transfer rumours from around the world. Manchester About Blog The Republik of Mancunia blog brings the most up to date Manchester United related news to fans from all around the World. Facebook fans 10,032. Twitter followers 76,471. About Blog Independent views on Manchester United. Written by Reds, written for Reds. Facebook fans 2,779. Twitter followers 8,817. About Blog The award winning Manchester United blog and news site. Home of the Strettycast, a Manchester United podcast. Facebook fans 7,132. Twitter followers 45,597. About Blog Liverpool News and Blogs. Everything you need to know about the best team in the world. Facebook fans 2,036. Twitter followers 16,967. About Blog An Unofficial Liverpool FC Blog. Facebook fans 847. Twitter followers 920. About Blog The Kop Times is a website dedicated to offering fresh, intelligent and alternative football blogs. All about Liverpool Football club. About Blog unofficial home of Chelsea Football Club. CFCnet now offers a feature-rich, intelligent and moderated forum for our readers to share their own personal views on all things Chelsea FC related. Our agenda is simply to reflect the diversity of their opinions. Facebook fans 15,320. Twitter followers n/a. London, England About Blog A website which brings you 'All Of The Football, All Of The Time' from the Premier League to the Champions League and every thing in between. Facebook fans 238. Twitter followers 7,632. About Blog Best Football Prediction Site, stakfree24 analysis data from thousands of teams to give you the best football betting tips. Register online now and start winning. Facebook fans 7. Twitter followers 150. Lagos About Blog 234sport is one of the leading next generation sports news. We aim to deliver the best sports content to our fans on Facebook, including breaking news, domestic and global sports news on the big sporting topics! Facebook fans 1,730. Twitter followers 97. About Blog One of the most popular Chelsea FC blogs. In support of Chelsea FC through rain and shine since 2006. With over 800 posts and 33,000 comments, BlueChampions is one of the longest serving Chelsea blogs on the internet. Founded by an Indian but flocked by Chelsea fans from all over the world. Facebook fans 626. Twitter followers 25,308. Leeds About Blog The Scratching Shed was founded in 2008, it is an independent fansite written by, and for, the fans of Leeds United Football Club. Facebook fans 5,385. Twitter followers 30,532. About Blog All the latest & breaking West Ham United news headlines coming out of Upton Park. Whether it be breaking news, transfer gossip, thoughts about the last game, or even the next game, rants or raves, we want to hear it and publish your thoughts on our main site. Facebook fans 842. Twitter followers 3,942. About Blog All the latest football news, live updates, fixtures and everything happening in the world of football and soccer with Football Pulp website and Android App. Facebook fans 4,737. Twitter followers 313. About Blog Get Your Daily news about Liverpool FC. About Blog West Ham United Blog Fan page is a place for Hammer fans to chat, gossip and hang out. Keep up to date with the latest Upton Park gossip and news. Facebook fans 415. Twitter followers 161. About Blog Find all the latest news, transfers, opinions and much more on this site. Facebook fans 299. Twitter followers 990. About Blog The Alternative Football Web Site - Clean Sheets is your number one site for the latest transfer rumours and opinion! CSAR cover the Premier League, European and international competitions. Facebook fans 1,227. Twitter followers 1,259. About Blog Game of the People looks at football in all corners of the world, although we have to admit, we are quite European-centric. We’re not just interested in who scored what and when, but we like to feature content about the history, the culture, the politics and the finance of the beautiful game. Facebook fans n/a. Twitter followers 2,448. London About Blog Your daily source of Spanish La Liga football results, and La Liga Soccer news, views, league tables, fixtures, results and opinion. Facebook fans 13,608. Twitter followers 20,879. About Blog The Bundesliga Fanatic is committed to publishing the best English-language content regarding the Bundesliga and the wider world of German football. Facebook fans 2,488. Twitter followers 16,272. Facebook fans 2,713. Twitter followers 2,248. About Blog A Different League was launched in April 2009 with the goal of providing news, opinion and comment on Premier League and international football. Facebook fans n/a. Twitter followers 6,645. Facebook fans 14,031. Twitter followers 717. United Kingdom About Blog Bringing you the latest football News, Previews, Reviews, Opinions, Betting Tips and Transfer Rumours and Gossip. Facebook fans 28,527. Twitter followers 5,048. About Blog Football Extras is a football blog features the top football news and transfer rumours from around the world. Facebook fans 3,818. Twitter followers 188. About Blog Hi, my name is Dejan and like you I’m a football enthusiast. As it’s often said “I live, eat and sleep football”. Welcome to my BLOG, the point of my writing is to give you my view on ongoing matters in the football world and to give you the chance to express your thoughts with comments. About Blog Keep up with articles on Football from FootballRomantics. About Blog Watch Football Match Highlights, Soccer Full Match Replay Videos & Goals. Covers the latest Football News, Previews, Match Reports and Columns. Facebook fans 4,896. Twitter followers 380. About Blog Keeping you an up to date with latest football stories and transfer speculations across the European leagues - Premiership, La Liga, Serie A and Bundesliga. Facebook fans 244. Twitter followers 60. About Blog It is a about the fans, it is a about the game, it is about football. Facebook fans 106. Twitter followers 393. About Blog Football Weeks is an online football news portal updated with insightful opinions and analysis related to top football leagues. Facebook fans 46. Twitter followers 46. About Blog Here you will find not only informational articles and posts, but Pro Evolution Soccer faces too.The blog was created on 12 July 2009, however it didn’t manage to reach its peak until late 2010 and early 2011. From the very beginning, up to this day, the author has been running the blog single-handedly. Get the latest news regarding both AC Milan and Kaka. Facebook fans 810. Twitter followers 53. About Blog Your source for opinions and news on European football. At Highbury and the Emirates About Blog An Arsenal fan channel, for debate, discussion, fun and all things related to Arsenal. The football finance blog/podcast is dedicated to explaining the latest in football finance, economics, and organisational trends. Facebook fans 5. Twitter followers 601. Barcelona About Blog FC Barca is the unofficial Barcelona news website with the latest transfer rumours and news related to the Spanish club accurately from a fans perspective. Facebook fans 103,455,119. Twitter followers 23,327,495. 107. Football Shoot - Football Blog | Transfer Rumours and more. United Kingdom About Blog Bringing you the latest football news, reactions and rumour from the UK papers. The latest football stories and blogs from the premier league, bundesliga, la liga & much more...! Facebook fans 550. Twitter followers 77. Facebook fans 1,088. Twitter followers 620. Facebook fans n/a. Twitter followers 6,932. Facebook fans 8,227. Twitter followers 135. About Blog Our aim is to make sure to come up with the exclusive footy news and the latest happenings on the football. Moreover, this blog allows you to keep up to date with latest news and headlines of football world. About Blog Twohundredpercent started its life in May 2006. It is a website about the politics, culture, financials and history of football. We’re currently focused on the UK, but hope to expand this in the future. Facebook fans 372. Twitter followers 7,941. About Blog Latest Football Transfer, Match Analysis,Transfer Window, Speculations and more..
Facebook fans 87. Twitter followers 72. About Blog Football fans are the forgotten people of the beautiful game. Ignored by club owners and administrators and a media which frequently focuses on the sensational and trivial, supporters have few opportunities to influence issues affecting their teams and the game we all love. That’s why Natter Football was established – to provide a platform for the ordinary fan to have his or her say. Facebook fans 170. Twitter followers 6,014. About Blog Soccer Manager's football blog. Latest football news from around the world. Soccer Manager is a free online football management game. Facebook fans 471,461. Twitter followers 29,608. About Blog Welcome to FiftyFive.One, the new home of soccer in the North. An online magazine representing our next evolution, adding more writers, features, podcasts, and multimedia content. FiftyFive.One explores the nexus of soccer and culture. It is an online magazine where the North meets the world’s game and where the world’s game meets soccer’s North. Facebook fans n/a. Twitter followers 5,273. About Blog Leading Spanish Football - Soccer Sports website in English. With Liga updates plus all the Spanish Soccer news. Reviews, results, fixture, transfers, Champions League & Cup round ups. Read about Real Madrid , FC Barcelona, Lionel Messi, Cristiano Ronaldo & all the Spanish Football Sports stars. Facebook fans 2,899. Twitter followers 427. About Blog Advanced soccer analytics for the soccer (football) industry. Empowering soccer's data revolution. We are a startup company that develops advanced analytics on team and player performance for soccer teams, player agents, league and media organizations, and other members of the soccer industry. Facebook fans 839. Twitter followers 9,032. About Blog Football news,trolls and gossip. Facebook fans 132. Twitter followers 5. About Blog Get the latest football news from FootyBlog.net - we're one of the UK's best Soccer news websites with the latest Transfer Rumours and Football Videos! Facebook fans 1,832. Twitter followers 1,530. About Blog This site is basically created for giving all the knowledge about football equipment and also give user best reviews and latest online rates of all the product related to football. Facebook fans 1,063. Twitter followers 2,778. About Blog A sideways reflection on all things relating to DEM BLADES. Regular features include: the game, the fans, the goals, the match, the glory. Facebook fans 1,708. Twitter followers 3,477. Lisse, Zuid-Holland About Blog Attacking Midfielder is an English football blog from a Dutch perspective. Read the latest news and opinions about the Premier League and its teams! Facebook fans 262. Twitter followers 1,794. About Blog As featured in FA Cup Final programme 2016. From Alresford to Arsenal, Mangotsfield Utd to Man Utd, every club's FA Cup record!. Facebook fans n/a. Twitter followers 8,841. United States About Blog Professionally Ran Soccer Academy who provides FREE training. Premier Sports Blog exist to talk about the different aspects in athletics in which can be implemented into the athletic environment in order to build a positive, character-driven program! Facebook fans 1,202. Twitter followers 2,807. About Blog Timely virtual assistant for football/soccer results and analytics reports using natural language generation (NLG), machine learning, artificial intelligence and big data analytics. Automated text, podcast and video generation for latest football results. About Blog Welcome to FOOTBALLMANIA. This is an informative blog about sports, in particular, football. It raises the bar and puts sports journalism at a whole new and exciting level. We bring you raw action as it unfolds. Our main area of focuss Moi University main campus and its environs. Remember; If it is not here, it probably NEVER happened. About Blog I've created this blog to combine two things that I spend a substantial amount of my time doing: analyzing data and following football (soccer). The principal aim is to write a football-orientated data blog. Facebook fans n/a. Twitter followers 1,302. About Blog Post on soccer. About Blog On the BigRedPod blog, read the latest Manchester United News, Transfer Rumours, Match Previews, Opinions, Predictions and various Featured Posts. It is a Weekly Manchester United Podcast available on iTunes and Audioboom. Facebook fans 38,996. Twitter followers 25,779. Facebook fans 21,300. Twitter followers n/a. About Blog Newcastle United Blog with news & opinion on matters at St. James' Park. Toon news, but without the usual nonsense headlines. We tell it how it is. Facebook fans 1,275. Twitter followers 978. About Blog At ScaryFootball we will strive to provide world football news especially about the Premier League, La Liga and Champions League. Our articles are unique with original content and with a bit of creativity and statistical background. We hope you will enjoy ScaryFootball and that you will actively participate on it. Facebook fans 310. Twitter followers 2,510. About Blog Proud warriors of the East, and simply football fans, are you ready to defend the honor of our teams? About Blog At Copa90 we believe that everything outside of the 90 minutes makes the 90 minutes on the pitch matter more and that is where the true heart of football is found. Copa90 is made by fans, for fans – we tell the stories, hero the characters and host the conversations that matter in a way that no one else can. Facebook fans 1,965,771. Twitter followers 126,160. About - Box To Box is an independent quarterly print magazine and website on football culture. Created by a collection of talented writers and illustrators, the magazine aims to provide an alternative angle to a wealth of compelling stories from across the footballing landscape. About - At Football America UK, we are committed to providing UK and European American Football teams and individuals, with the best service and products they desire, with experienced and knowledgeable staff on hand if required. We specialise in all forms of Football Equipment not just helmets and shoulder pads. We carry a vast range of cleats, gloves, power girdles, custom uniforms, wrist coaches, bicep bands, to name a few. About - The site was set up in late 2007 by Geoff and Pedro. They set out to create a place where Arsenal fans could talk about whatever they liked football wise without the fear of aggressive recriminations. Four and a bit years on, the site has posted over 1600 times and has over 1,000,000 comments approved and published. About - The Football Supporters’ Federation (FSF) is the democratic organisation representing the rights of fans and arguing the views of football supporters in England and Wales. 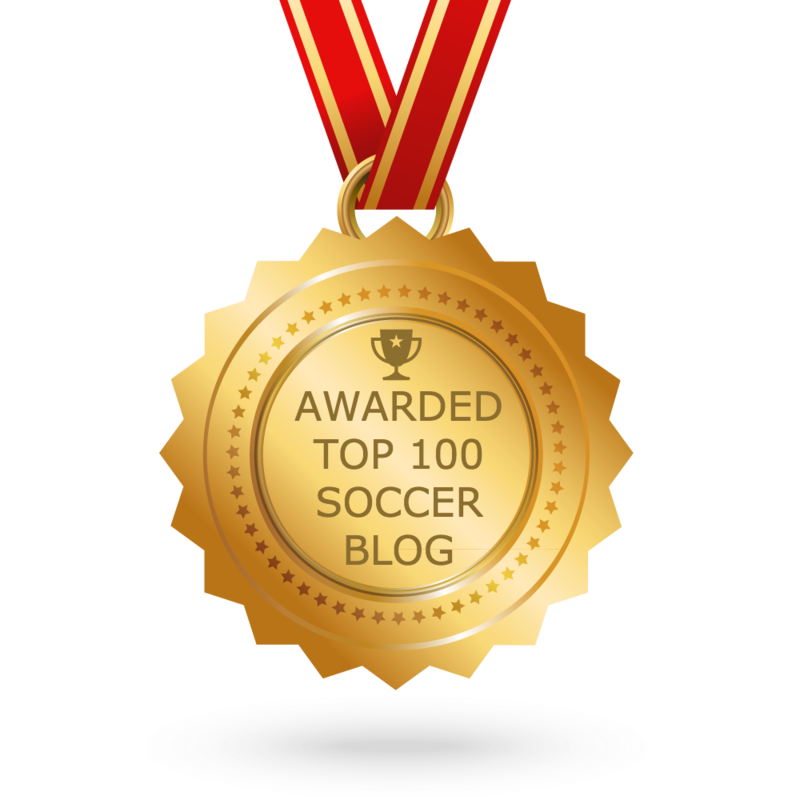 CONGRATULATIONS to every blogger that has made this Top Soccer blogs list! This is the most comprehensive list of best Football blogs on the internet and I’m honoured to have you as part of this! I personally give you a high-five and want to thank you for your contribution to this world.